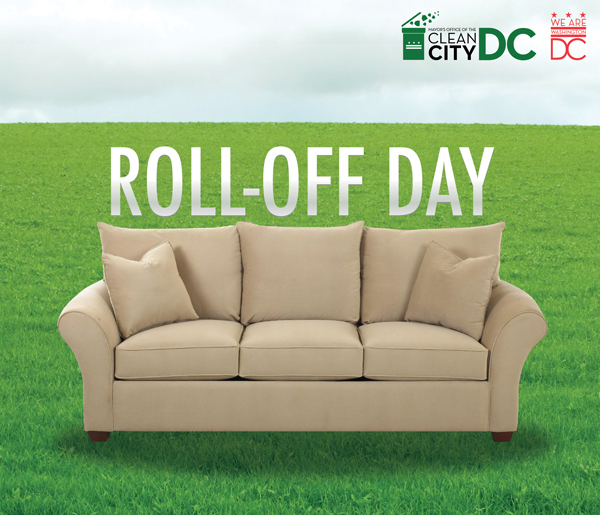 This special expanded Roll-Off Day offers you many more services to unload unwanted items and help your community! Meet 311 operators, report service requests, and learn about how you can reduce waste, save energy, and prevent pollution in our neighborhoods and environment. Donate clothing and furniture to A Wider Circle to help victims of the fire at Arthur Capper Senior Apartments. Donate other items for thrift store resale. Recycle electronics like computers, TVs, and household appliances (1-2 pm ONLY). Donate building materials to Community Forklift.